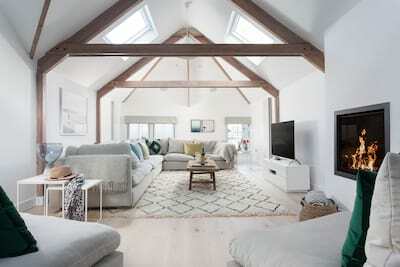 Superbly located on 'The Terrace' just opposite the St Ives Harbour Hotel; The Porthminster Mews Townhouses offer wonderful jackpot sea and coastal views and have been finished in duck egg blue weather board emulating a New England exterior feel with a luxurious interior design. 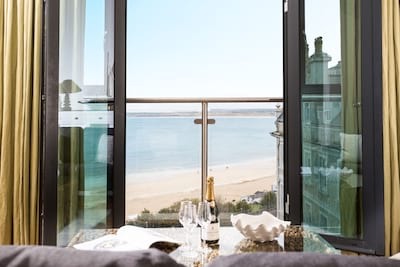 Each mews offers accommodation for 4 guests with private off road parking and use of the facilities within popular The Harbour Hotel to include the Spa. I was delighted from the moment l walked in with the standard. Views from all windows and yet a very easy walk to St. Ives and of course the sea. Cant wait to go again. Well recommended to everyone else who visits st. Ives. Beautiful property. All the utensils were of excellent standard and spotless. It was a pleasure cooking. Very comfortable beds. The location is spot on and the views are stunning. The property was beautifully presented and was perfect for a home away from home stay. Had a lovely stay, great views. 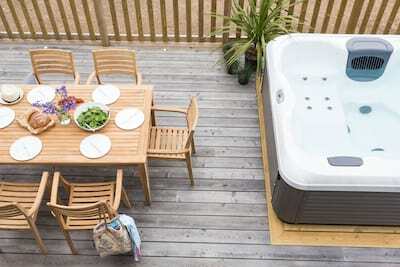 Excellent property, we had a fantastic holiday and we would definitely recommend to others. 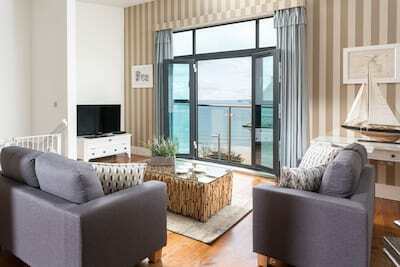 30th of April was my birthday and l chose Cornish Gems in St. Ives to come up with an excellent 5 star apartment. Well they came up trumps with this excellent 5 star accommodation. I was delighted from the moment l walked in with the standard to the point l wished l had booked 2 weeks. Views from all windows and yet a very easy walk to St. Ives and of course the sea. Cant wait to go again. Well recommended to everyone else who visits st. Ives. Well done Cornish Gems. Thank you for an excellent stay - we hope to book with you in the future.